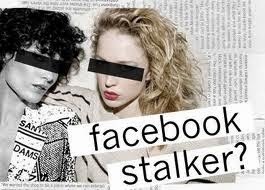 Have you ever been "Stalked" in Facebook? Has someone who is not in your friends list is continuously poking you and stalking you? What actually is Facebook Stalking? When you post something, that may be about your losing of weight or graduating, that gets displayed on your timeline. If this post was posted say 5 years back, they are still visible. They may be available for someone searching for you with the use of Graph search. Earlier this was not possible, but now the recent news suggest that using Graph search, one can search for posts, likes and comments for their use. If someone who is literally obsessed and comments them on Facebook, or links with that person, that is called as "Facebook Stalking". Earlier your posts were not available for other searching, but with the launch of new features of Graph search, all your comments, videos, likes, posts, etc are visible to anyone. Facebook has now started being transparent by making all the posts visible to all. Do you want to avoid these kind of unwanted tasks and mimics done with you , then you have to stop someone who is stalking on Facebook. You cannot change the feature of transparency of Facebook's Graph Search, but at-least you can change the settings of what you post online. Settings change your posts visibility to others. Let us see how to avoid people to stalk our posts in Facebook or how to change the settings of posts for stopping Facebook stalking. Set it to a limit and enjoy posting. I have been able to discover here. I’ll be coming back to this website again. Thanks again for posting such great reading material! !